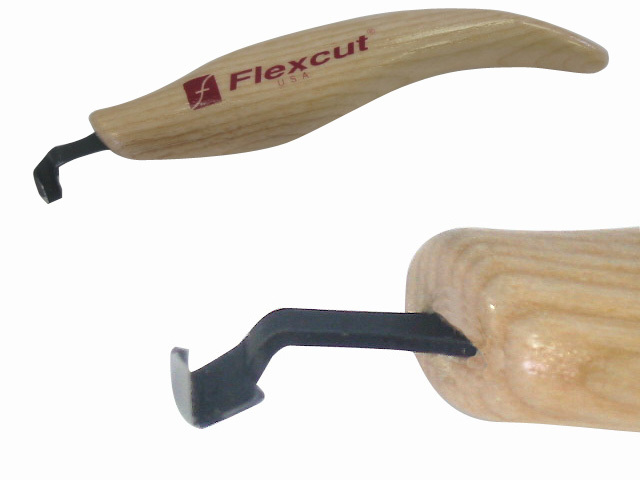 New Flexcut PW12 SlipStrop The Flexcut SlipStrop™ is an economical way for maintaining our tools razor edge. 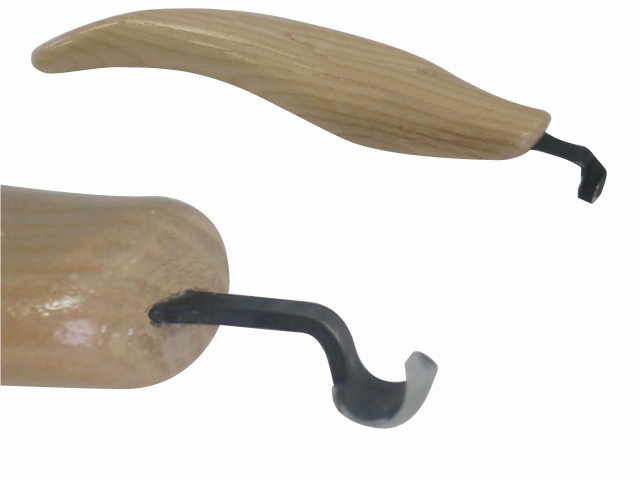 It has been specially moulded to allow for polishing and deburring the hard to reach areas on the inside of V-tools and gouges as well as the outside edge bevel. 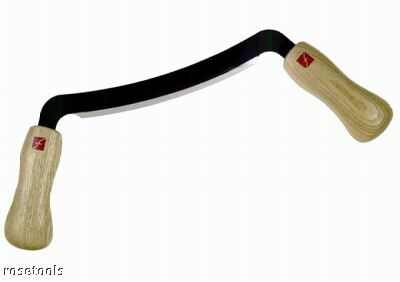 Either side of the strop can be used. 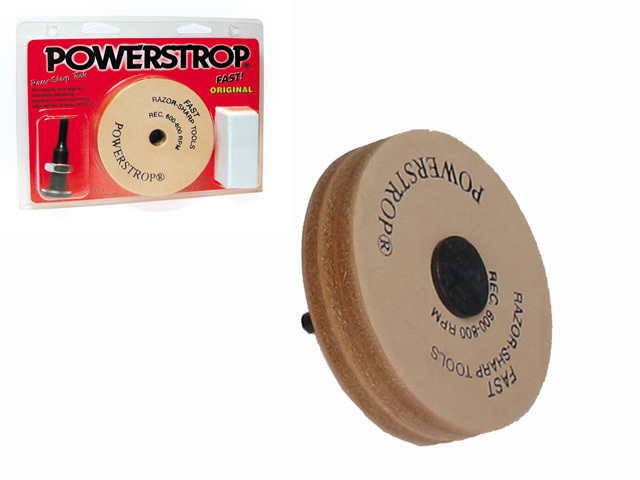 Each SlipStrop includes a mini-bar of Flexcut Gold polishing compound and detailed instructions. New Flexcut KN16 5" Flexible Draw Knife 5 inches of workable edge, designed to flex around contours where large amounts of stock need to be removed quickly. The tool can be flexed to accommodate concave or convex surfaces. Cuts can be made that conform more closely to the finished shape, taking less time to sand or scrape. 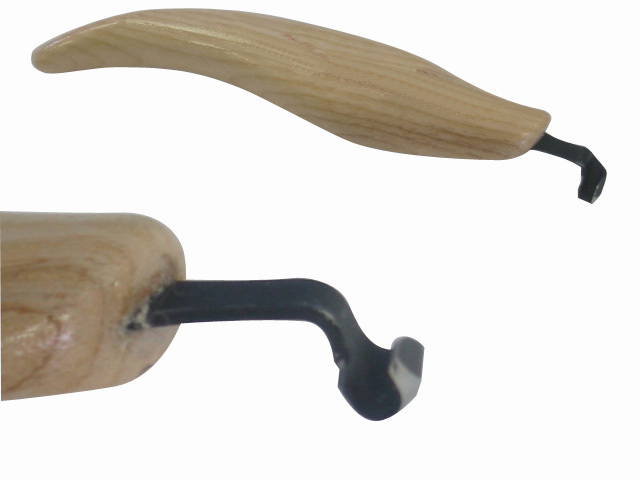 The curved edge gives a skew-like cutting action for a low resistance cut. 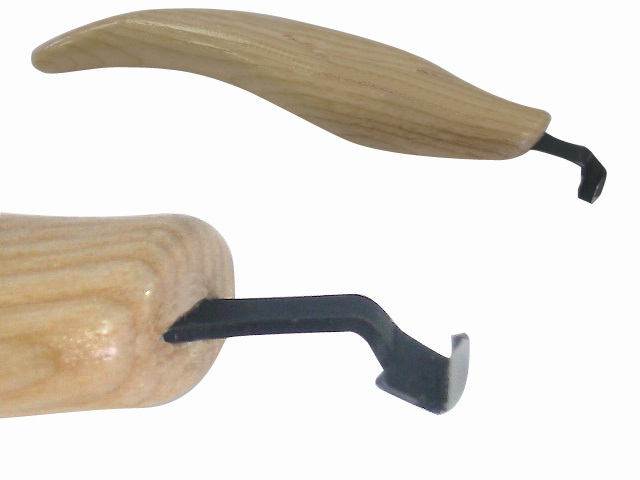 This tool works great for carving chair legs, hollowing chair bottoms or quickly roughing-out decoys. New Flexcut KN17 1" Mini Draw Knife This miniature draw knife is designed for hard-to-reach areas, where a pulling action is more conducive to efficient stock removal. The flexible shank allows the cutting angle to be changed easily for contoured cuts. 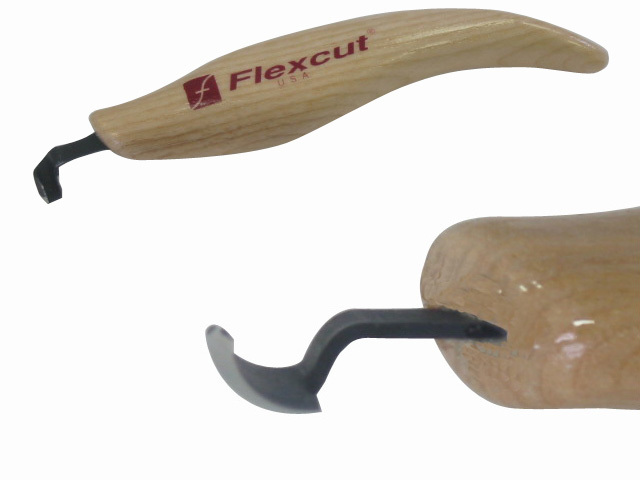 New Flexcut KN21 Right-Handed Scorp 1/8"(3mm) this knife is an essentially right angled gouge desgined for carving areas where the full length of a gouge will not fit. 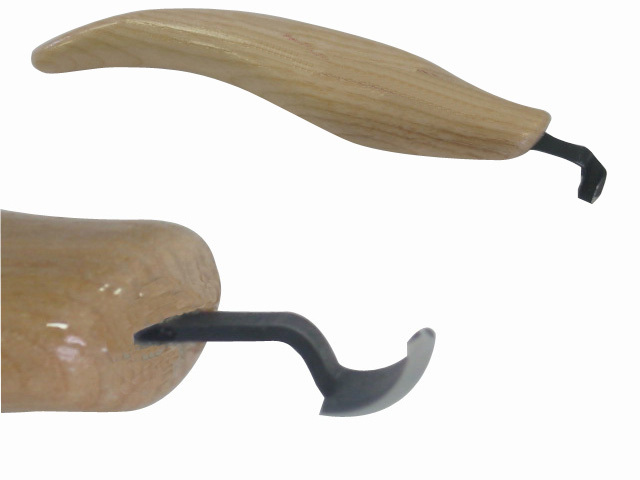 Knife carvers will find them useful for hollowing deep, narrow cavities. 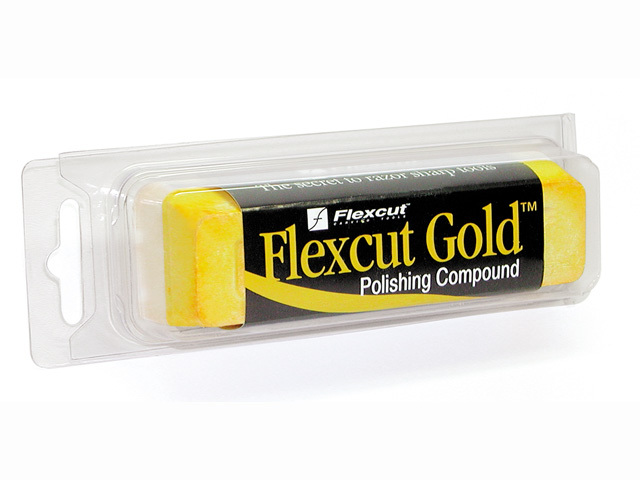 New Flexcut PW11 Flexcut Gold™ Polishing Compound Flexcut Gold™ Polishing Compound has been specially formulated to apply like a crayon. Its blend of aluminum and titanium oxide provide a balance between aggressive removal of hardened tool steel and offering a high-color polish. 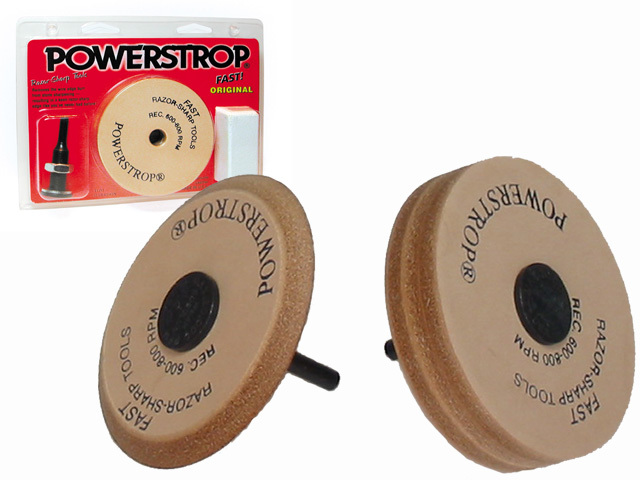 The Leather Powerstrop kits provides a great way to maintain your Flexcut edges like new, or remove any wire edge left from a sharpening stone when reshaping is required. 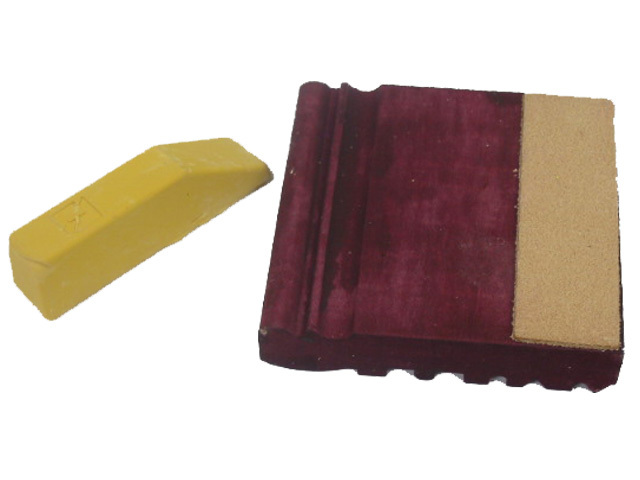 Yellow Polishing compound is the most efficient compound for stropping hardened steels. Includes a stick of white rouge buffing compound. Stropping is a great way to maintain your Flexcut edges like new, or remove any wire edge left from a sharpening stone when reshaping is required. This handy tool fits into any power drill. Simply apply the buffing compound to the leather wheel and let the drill do the work of bringing your edge up to a polished surface. 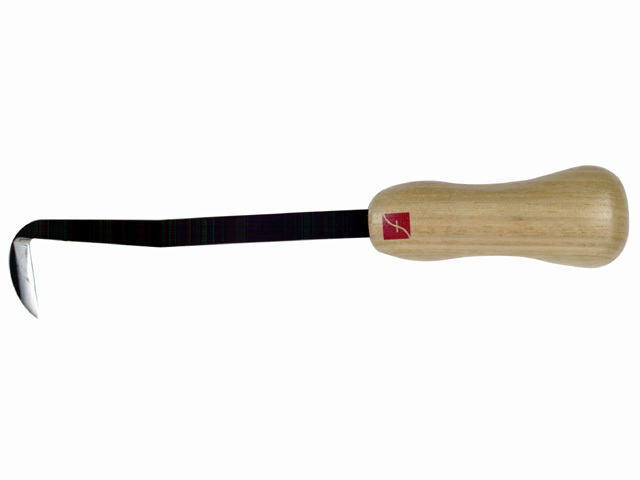 The deluxe strop contains a V-shaped leather wheel for buffing inside V-tools and gouges. Includes a stick of white rouge buffing compound.